Aulani Deluxe Studio Video unit 510: Video Tour of Tiggers Room at Aulani in Hawaii Tigger Travels - Family Adventure Journal Photos From Tigger`s Travels and MORE! 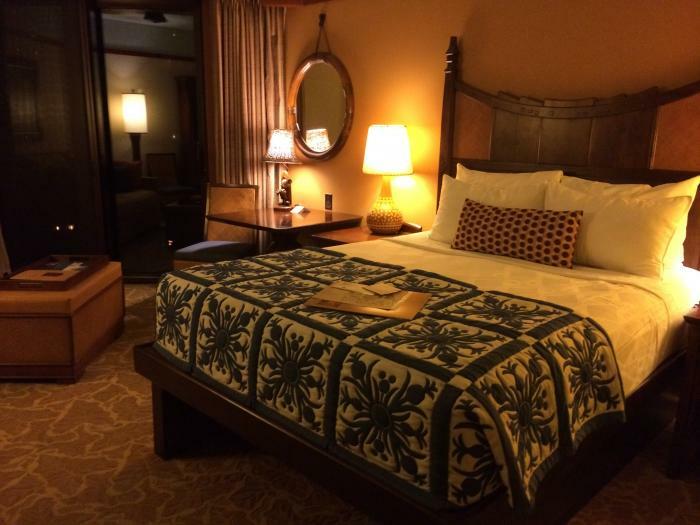 In December 2014, Tigger stayed in a Deluxe Studio Room at Aulani: A Disney Resort and Spa in Hawaii on the island of Oahu. This video is of Tigger's room to help you see what to expect if you are considering staying in this unit. See more information in the description below the video or on the YouTube channel where the video is hosted at. Click here to see this video on YouTube.com on the Tigger Travels Channel. During the Holidays, Tigger got to stay at his DVC Home Resort Disney Aulani for 10 days. 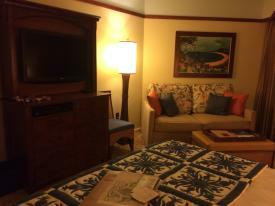 He stayed in a Deluxe Studio unit in the Waianae tower on the DVC wing of the building. Unit 510 is a pool view unit that overlooks the Menehune Bridge, a water feature frequented by some of the youngest in the resort. As you can see in the video, though, thanks to the heavy hurricane proof sliding glass doors, Tigger heard none of the screams that are bound to accompany these youthful splashers! The Menehune them selves are even quieter. You will, on occasion, hear them beating their drums in the distance. - - We found leaving the toilet light on at night provided enough light at night to venture safely to the toilet when it is dark... and believe me, those units get DARK! 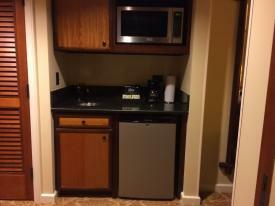 Kitchenette in room with fridge, sink, microwave and more. 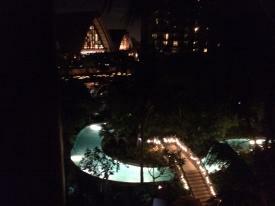 The view from the veranda at night over the Waikolohe Stream (lazy river) and the lobby with its familiar arch at the top.